Freedom. It’s a loaded word. Because it comes with a price. Always. Our country’s freedom comes at the cost of lives of brave men and women. Many far from home defending the right to huge celebrations today. Mankind’s freedom comes at the cost of the One who is Life. I have often been in battle with my own freedom. A paralyzing fear in my life is disappointment. Not me being disappointed. But me being a disappointment. Sometimes my choices disappoint people I love. Sometimes my choices disappoint the One who is Love. Behold my breaking heart. And that’s exactly what He does. Holds my heart. And He holds my hand helping me to choose. Sometimes best choices. Sometimes less than choices. Like a child learning to walk. Sometimes several steps. Sometimes skinned knees. Eventually around the block. And even a whole game of Red Rover. As the Author of my life walks out choices already penned in His book, today I rest in the beauty that is freedom. Because the choice to please, the choice to love, the choice to live is a beautiful thing. Without freedom there would be no love, no life. Thank you Jesus for love, for life. For freedom. 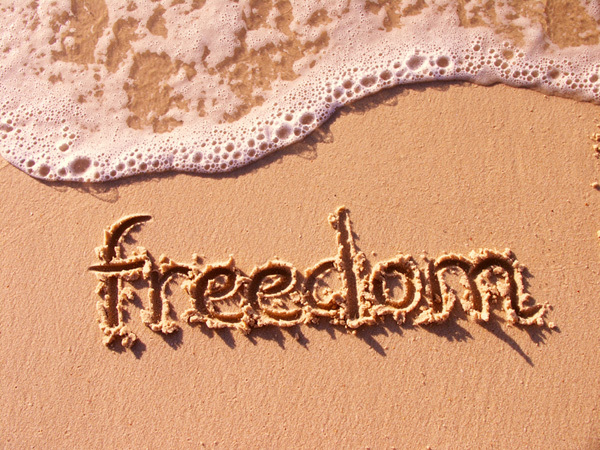 In what ways are you learning to appreciate your freedom?